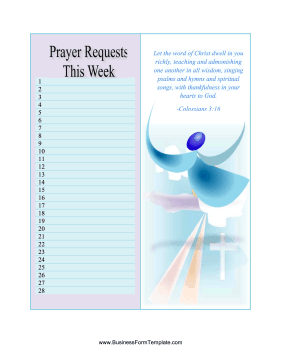 Prayer requests for weekly masses and services can be recorded in this free church printable. An angel and a passage from the Bible decorate one side and a list for praying church members on the other. Fields: 1, 2, 3, etc.